Anyone that has a job needs to be aware of their rights. There are laws that exist to protect you. If you know what your rights are, you’ll be able to handle rights violations. If you want to learn more, there are questions you’ll have to start asking yourself. What is wage and hour law? If you’re curious about these laws, you’ll find the answers you need below. 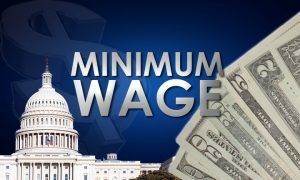 Employers must follow federal minimum wage laws when paying their employees. They must also follow the wage laws in their state. At the time of writing, federal minimum wage is $7.25. Some states, like Washington and Oregon, have a higher minimum wage. In Washington, the minimum wage is set at $9.19. There are some exceptions to wage laws. For example, if an employee receives tips, their employer may be able to pay them a lower hourly wage. With that said, their total hourly income must be equal to their state’s minimum wage. If an employee makes less than that, their employer must make up the difference. If an employee works more than 40 hours in a week, their employer will have to pay them overtime wages. In most states, overtime wages are set as time and a half. If an employee is normally paid $10 an hour, overtime wages would be set at $15 an hour. In many states, employers also have to pay overtime wages if an employee is asked to work on a federal holiday. You should read up on the wage laws in your state. It’s a good idea to learn more about federal wage and hour laws. You should also read up on the wage and hour laws in your state. If your employer is not paying you what you are entitled to, you should speak to a lawyer.